World in Motion: Listen. That's the sound of the status quo crumbling. Listen. That's the sound of the status quo crumbling. Good morning! 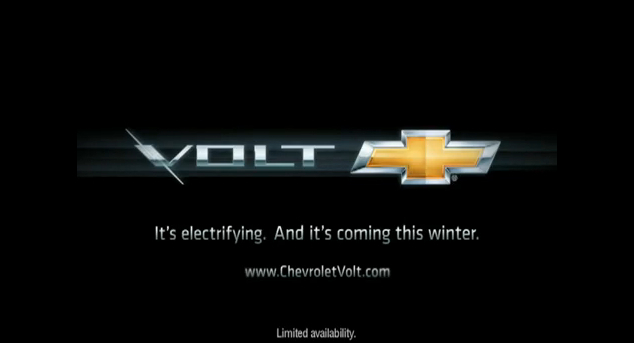 Here is an interesting spot looking to showcase the new Chevrolet Volt. 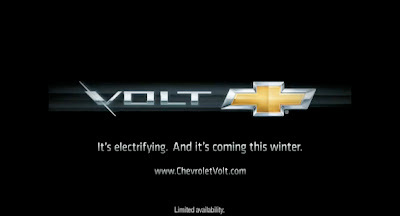 More specifically, this is a teaser campaign created by Goodby Silverstein & Partners looking to spark some interest for a car that's making its debut this winter. It actually reminds me of the Naughty Volvo campaign we spoke about a little while ago. Where the Naughty Volvo campaign succeeded this campaign fails. Volvo wanted to tease us as well by not giving too much away. They did this by giving us small little snippets of broken footage where you can almost see the car. This spot on the other hand just gives us scenery and the noise of an engine that apparently is the sound of the status quo crumbling. I think they could have done so much more, and I hope to see some more teaser campaigns in the future that gives the viewer a sneak peak of the car itself because with just scenery it's not really telling me anything new. Give me a reason to get excited about the debut of this car. Anyhow...maybe next time.